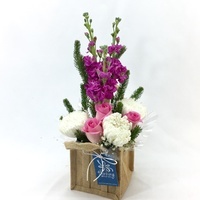 Love, Joy, Celebration or Party! 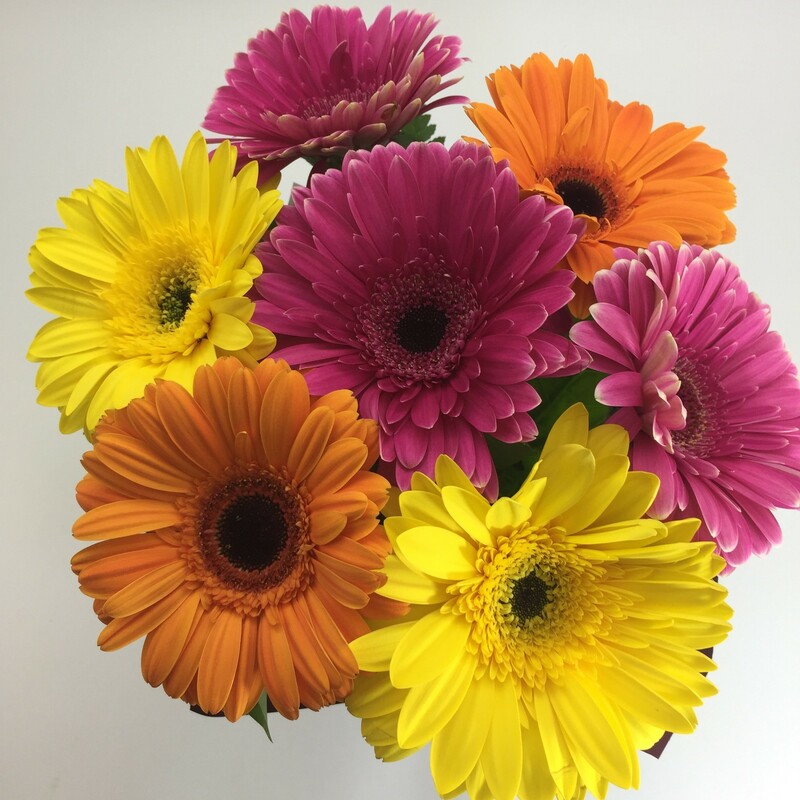 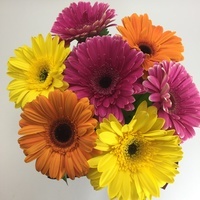 Gerberas are perhaps the happiest flower of them all, and will spread their joy to almost any occasion. 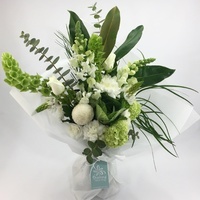 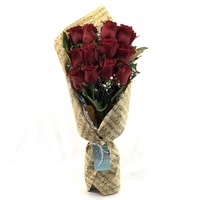 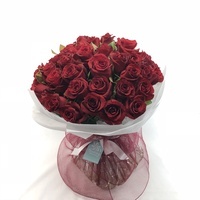 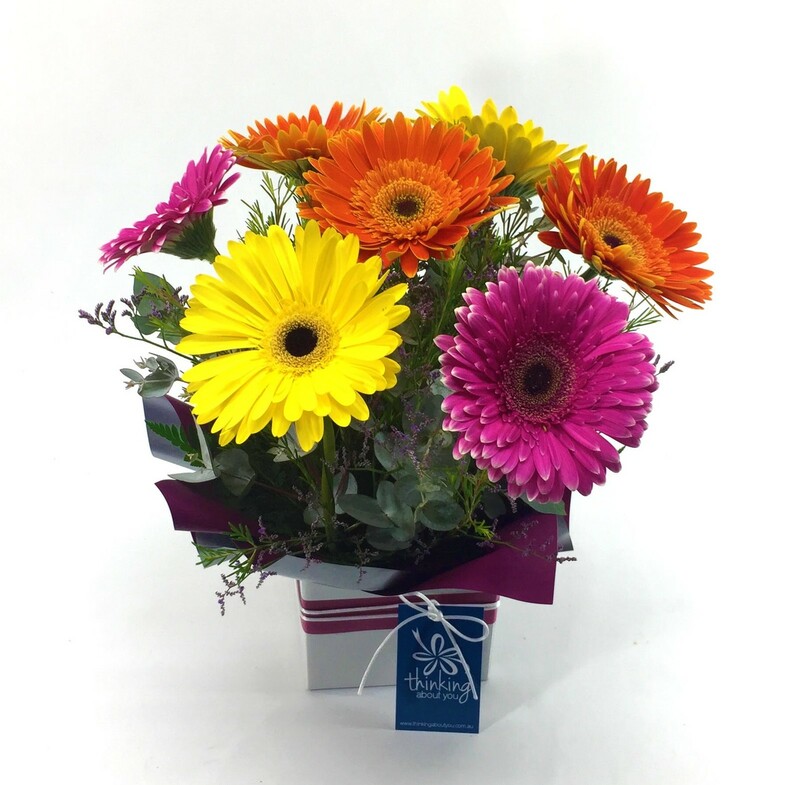 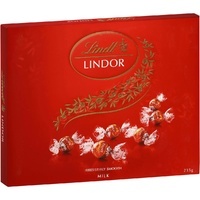 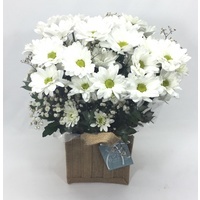 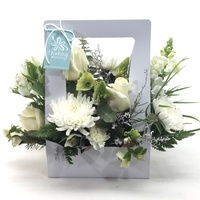 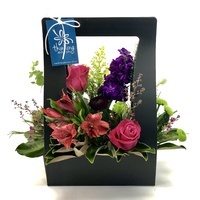 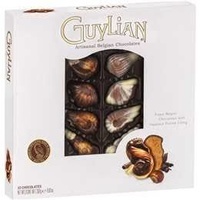 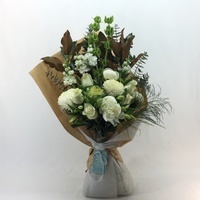 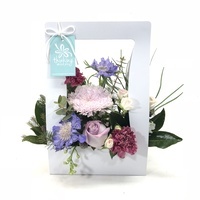 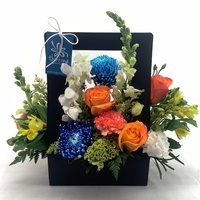 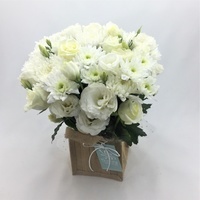 This arrangement comes in 1 size (7 stems) with bright colours in a boxed oasis for maximum enjoyment.